Oberlin Hillel and the Jewish Student Union strive to create a vibrant Jewish community for students on campus. Hillel is a student-centered, pluralistic Jewish space that welcomes people of all movement and secular backgrounds, cultures, sexual orientations, gender identities, and all approaches to Israel. The Cleveland Hillel Foundation provides the college with a campus rabbi and a Jewish Student Life Coordinator who encourage and facilitate Jewish activities at Oberlin. 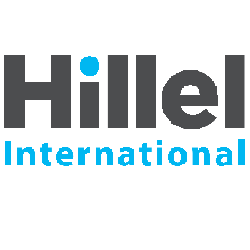 Join our Hillel mailing list! Join us for a spiritual and tasty Shabbat! Services will be at 5:30pm, followed by dinner at 7pm. Both events will be in Kosher-Halal Co-op and are open to all, regardless of your religious background or observance level. We will be holding small discussion groups over Shabbat dinner on April 12th around the topic of Israel-Palestine. This will be a space for participants to respectfully explore ideas, learn, and create understanding across different perspectives. The discussions will start at 7pm. Services will still be at 5:30pm, dinner (Chinese food) at 7pm, all in Kosher-Halal Coop (2 S. Professor St.). Join us for our Passover Seder on Friday, April 19th, from 7:30-10:30pm. We will have a mix of familiar traditions as well as plenty of new interpretations. Open to all - students, community members, and more! To RSVP, visit tinyurl.com/oberlinpassover. If you would like supplies to make your own second night seder, contact Talia (trodwin@oberlin.edu) by 4/15.